It's not easy to find videos about Lamma actually worth watching. Should we try to compile a list, well ahead of the pending release of Alba the Filmmaker's Lamma documentary she's been filming over the last several months. Here are 16 interesting videos, in addition to all the shaky, blurry, often crappy tourist videos on YouTube, usually of the "I went to Lamma for the day, hiked the Family Trail and had seafood, yay!" variety. Half a year ago, I posted the message above, looking for Lamma-related videos. No replies so far, so I might have to find them myself. Hong Kong Lamma Island by qqparrya. The new short film by Lamma United, To Whom It May Concern, premiered last night in Lung Kong Rest and Diesel's will also go online very soon. What are YOUR favourite Lamma videos? Lamma Video of the Day. "This short documentary portrays residents of Hong Kong's tiny Lamma Island - an outpost of several thousand residents amidst a city of seven million people. Once a quiet farming and fishing village, Lamma Island is now a growing popular suburb for both expat and local city workers. 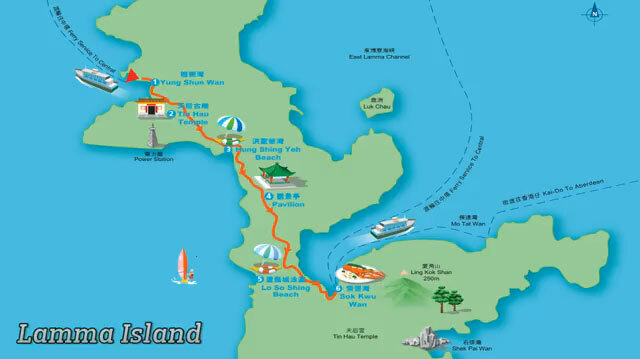 Watch Lamma's villagers struggle to protect the island's natural charm from dense urban sprawl." There were 2 Lamma premieres of the movie a few weeks back, in Lung Kong Rest. and Diesel's. So when will they build a bridge between two Power Station chimneys so we can go bungee jumping? Macau Tower could do it, why not HK? There's a pretty nice and wide-ranging selection of Lamma-related videos on http://video.google.com, aggregating them from several other video sites so it's a lot more and better stuff than you can find only on YouTube. Yeah, you're right, the music does seem to go on and on ...but the piccies are really neat! Thanks for putting the info on! I really enjoyed strolling through our splendid isle, albeit from my office chair! Last Rounds - by Frogman! File comment: Lasst Rounds - by Frogman! Just received from Ewa, her beautifully shot and edited video, including a few of my own photos. Only 17 views on YouTube so far, let's see how many more we can get. 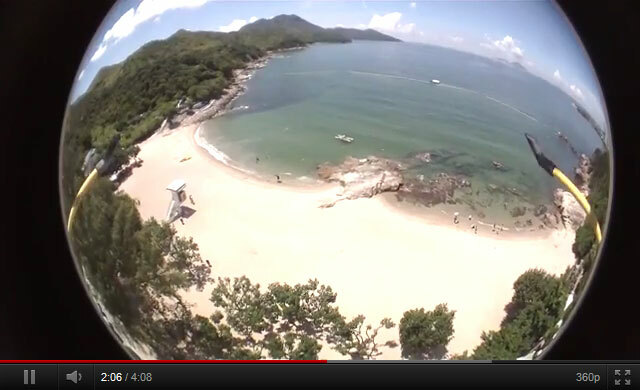 Lamma 500 May 2011 video by Donna Foreman. You'll need a Facebook account to see this one, sorry. We might get a YouTube version soon, I hope. How would it look like if you'd put a model helicopter with 4 rotors, a quadrocopter, with a remote-controlled video camera with fish eye lens into the courtyard of the Concerto Inn rest. on Hung Shing Yeh beach and have it lift off, fly high above the beach, look around and then land again? Thanks for the link, Foxy! I've featured this beautifully done video last year in the Lamma-zine. The video is from French-Swiss Alain, a very frequent Lamma Picture of the Day contributor. Some of these 1,381 views probably came via links from the Lamma-zine. Great soundtrack: "Life is a gift", a very catchy, famous French ditty.